This week I had the special treat of spending some time in the collection storeroom. 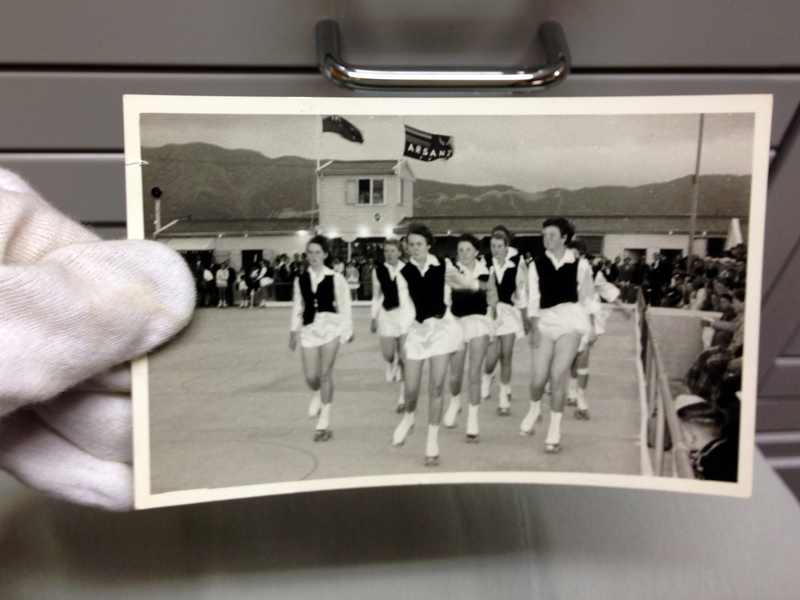 Among the treasures was a box of photographs labelled “roller skating club”. And who can resist a box that mentions roller skating? 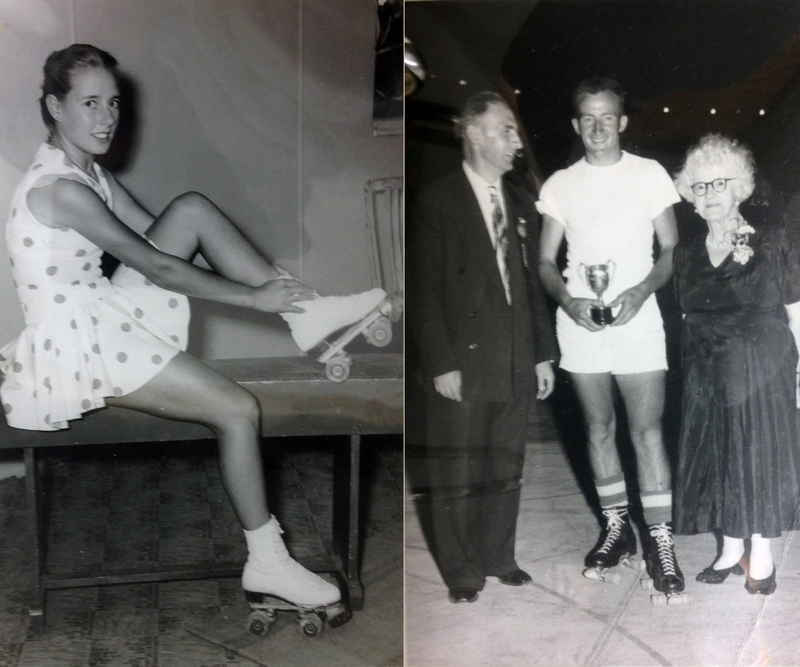 Most of these photographs date from 1958 and were taken at the Petone Amateur Roller Skating Club. 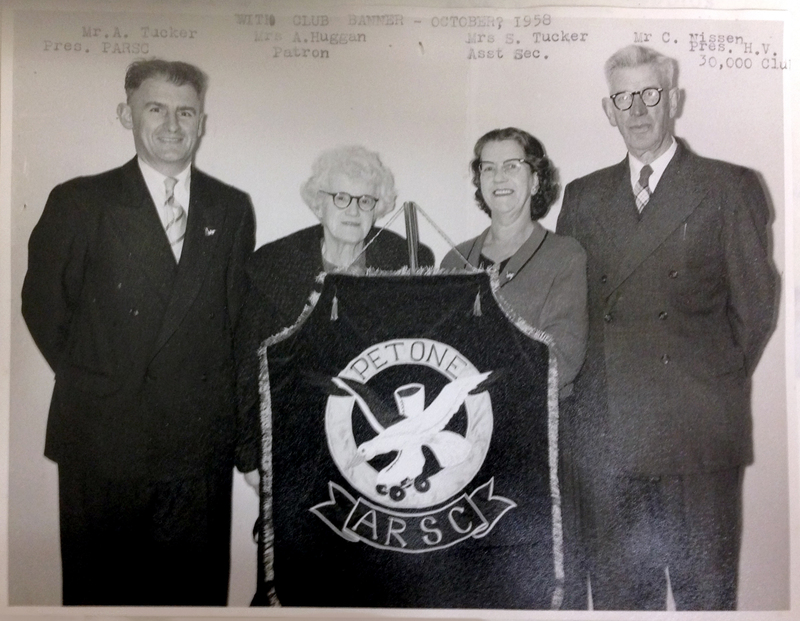 The club ran from 1951-1962 and was one of five clubs that formed the Amateur Roller Skating Association of New Zealand (splitting from the New Zealand Roller Skating Association in 1954, after a worldwide rift over the sport’s rules). This photograph was taken in 1958, at the opening of the club’s new control room and dressing sheds. Proudly displayed is the club’s emblem; a rare bringing together of seagulls and roller-skates. The “Hutt Valley 30,000 Club” is mentioned a few times on various pieces of ephemera. 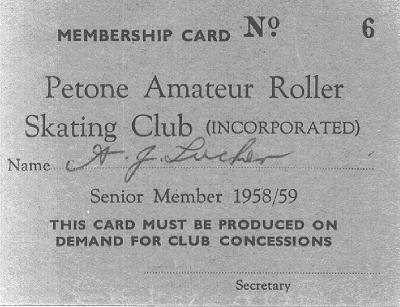 It’s unclear whether this was another Lower Hutt skating club, or whether this was the name of the Petone club’s skating rink. Either way, the Petone rink sat somewhere on the foreshore near where the Petone Settlers Museum is today. 1958 seems to have been a bit of a heyday for the club, and was the year they hosted the National Amateur Roller Hockey Championship. 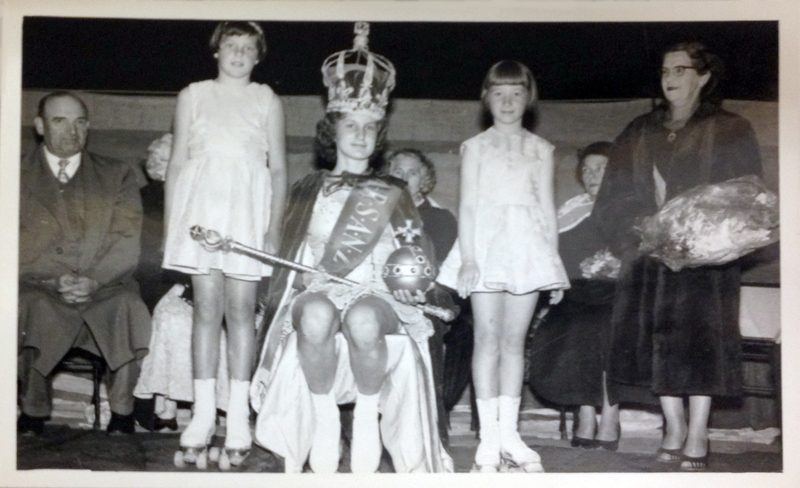 As well as roller hockey, there were speed races, dance skating, and a “Championship Queen”. 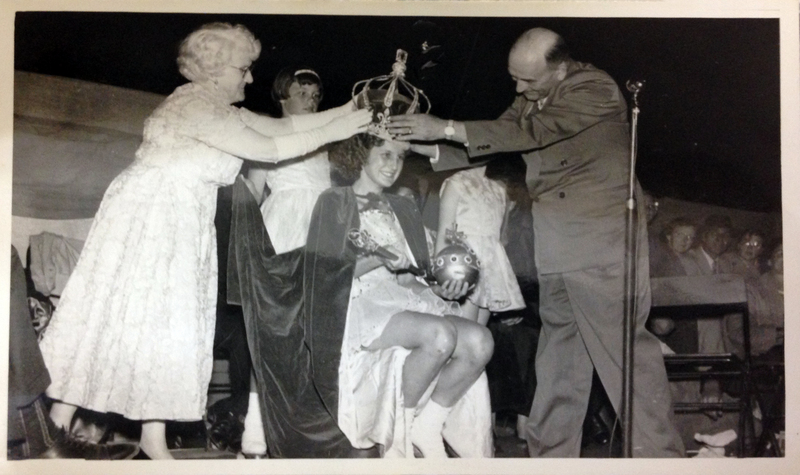 These two photographs show the crowning of the 1958 queen. As well as a hefty crown, she got impressively decked out with a cape, sceptre, and orb. Among the badges in the Settlers collection is this one for dance skating. 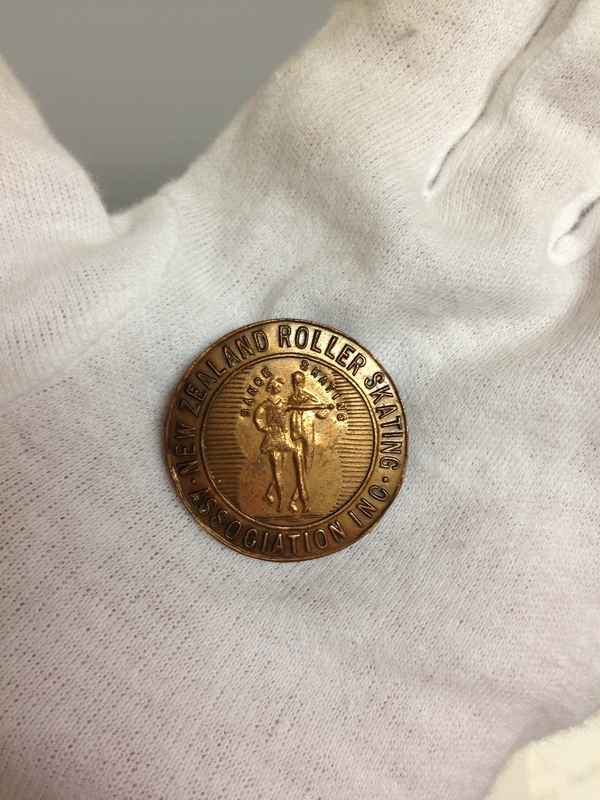 It reads “New Zealand Roller Skating Association” which would suggest it’s from the Petone club’s pre-1954 days, but mysteriously its collection envelope says c. 1958. The club looks like it was a lot of fun – a place to socialise, wear shorts and short dresses, and take the Olympic Oath while wearing roller skates. There was even a girls’ skate marching team. Do you remember the roller skating club? Perhaps you were even a card-carrying member…? If so, we’d love to hear from you. 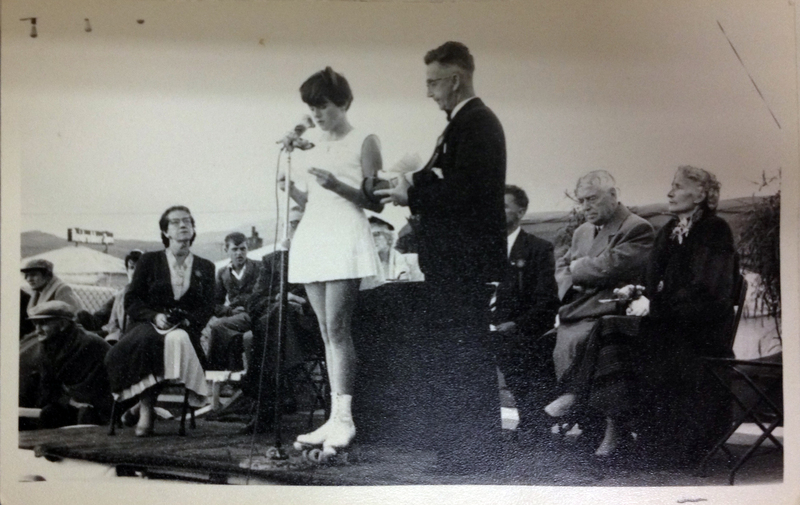 *All historic photographs c. 1958 from Minifoto Studios of the Hutt Valley 30,000 Club Inc. and Petone Amateur Roller Skating Club. Collection of the Petone Settlers Museum. 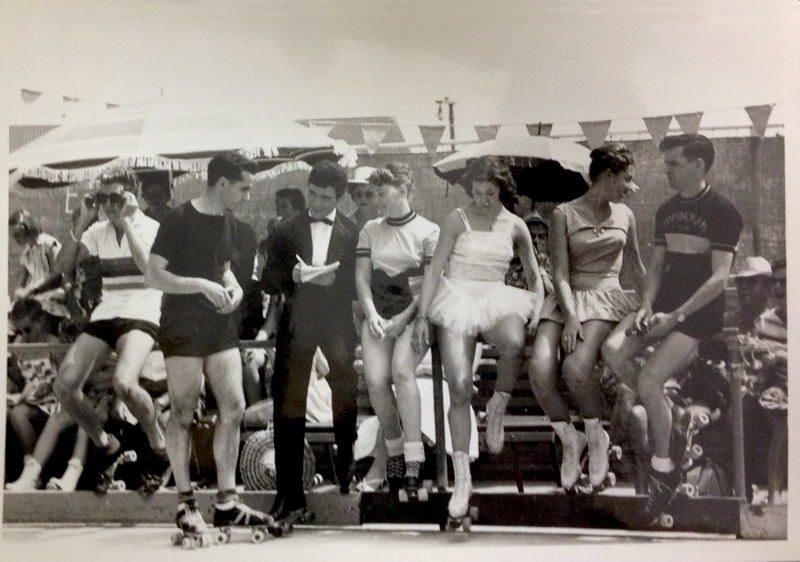 This entry was posted in PSM and tagged 1950s, Roller Skating. Bookmark the permalink.